2018 was a year of transformation all round within UK manufacturing. 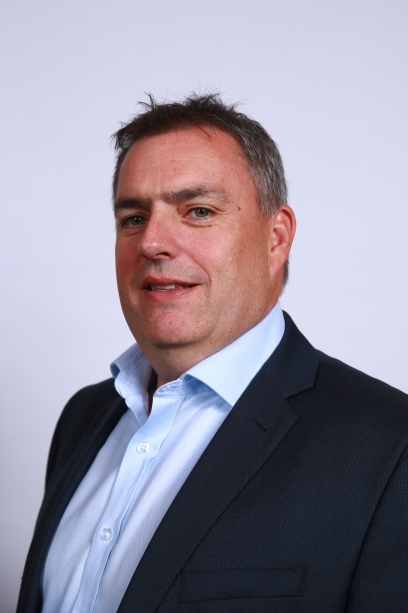 Mark Hughes from Epicor shares his thoughts on 2019 and a few ideas on how manufacturers can turn challenges into opportunities. We have seen the world’s economy shift. We have seen uncertainty in the markets brought about by various tariff wars. Nevertheless, as the Epicor Growth Index has shown, we have seen businesses continue to find ways to grow. Given this changing landscape, the task of looking ahead and pinpointing what lays ahead seems a trickier task this year than ever before. It certainly feels like 2019 will provide businesses—and manufacturers in particular—with some challenges. Crucially however, I also wholeheartedly believe that, if businesses put the right technology to work, these challenges can very quickly become opportunities. Here we lay out five potential challenges or opportunities—depending on whether you have a mind-set for growth. In the US, aggressive trade tariffs have been making it difficult for business leaders to know what to invest in and how much to invest, and are set to impact raw materials and export prices. In the UK too, trade tariffs are predicted to squeeze margins as the country moves closer to Brexit. Uncertainty is challenging. However, those that are agile, pioneering, and able to adapt quickly to change can reap rewards. In fact, challenging environments often present unparalleled opportunity for those ready to step up. Manufacturers using modern technologies and software can keep themselves agile enough to respond quickly and adapt to market changes. In the UK, for example, technology is making it possible to bring every part of the manufacturing process on shore, where once it was more cost effective to outsource various elements to Asia. Elsewhere too, software such as enterprise resource planning (ERP) solutions are enabling manufacturers to adapt their entire supply chains to peaks and troughs in demand to allow for changes in the market. With new technology comes new data. Many business leaders have therefore been left up to their knees in a quagmire of big data, with 77% in the manufacturing sector agreeing that they are having to deal with more and more information every day. For those who can put their data to good use, 2019 will be a good year. 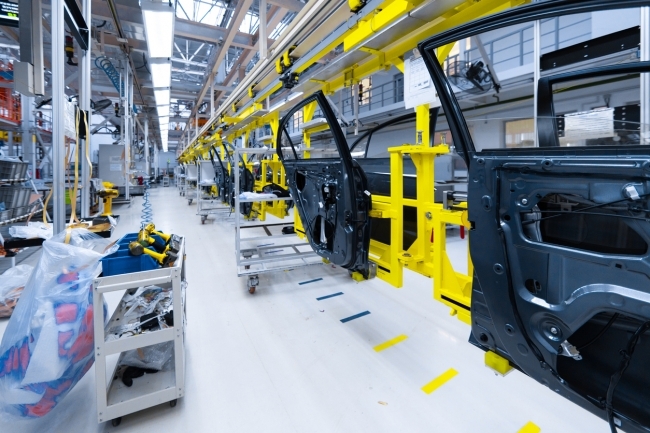 We can expect to see smart manufacturers use data from their ERP systems to generate real insights. Many will be seen using predictive analytics to pre-empt shortages or high demand in the supply chain, for example, and those who do this well will quickly become preferred and reliable suppliers to their customers. According to IDG, 73% of enterprises have at least one application, or a portion of their computing infrastructure, already in the cloud. However, despite its prevalence elsewhere, manufacturing has been slower to adopt cloud than other industries. According to some reports, digital services such as cloud computing now provide at least 25% of the total inputs that go into finished manufactured products. However, this barely touches the surface of what is really possible. For manufacturers, cloud technology makes industry-specific software much more accessible for small players by lowering the total cost of ownership for users—something that will redraw the competitive landscape in 2019. A people and skills shortage continued to plague the manufacturing industry in 2018, and this is only set to continue into 2019. In fact, in the UK alone, there’s an estimated shortfall of 186,000 engineers every year until 2024. Implementing new technology and ways of working can help businesses maintain and improve production levels despite their resourcing pressures. Realising this, 41% of businesses are already implementing some form of robot technology. This includes Dacia’s factory in Romania, which uses 800 robots to make a new car every 54 seconds. Because robots can automate repetitive tasks, they are an effective way of relieving a strained workforce from manual or difficult labour. However, the pressure is still on businesses to encourage new recruits into industry. Here too, the businesses that can use automation effectively will be at an advantage, with Epicor research showing that 41% of young people want the opportunity to work with the latest tech. Robotics and AI are a big draw for young talent, and with software solutions like ERP enabling their investments, businesses can truly take advantage of these innovations. There’s no doubting the challenges that businesses have been, and will continue to be, up against. But put technology in the right places and it’s possible to turn these challenges into opportunities. ERP solutions will continue to be central to the implementation of successful manufacturing technology in 2019.